which icono is the best? how about new icono and banner? la elección de los fans: Great idea ! Which girlfriend do tu like better? Do tu think Iker Casillas played one of the biggest roles in helping Spain win the World Cup? Did Iker Casillas had a good performance in Euro2008? what is iker casillas full name ? born 20 May 1981) is a World Cup-winning Spanish goalkeeper who plays for the Spanish La Liga club Real Madrid and serves as captain for both the Spanish national team and Real Madrid. As captain of the national side, he led a young Spanish team to their first European Championship in 44 years, his first senior international honour. In 2010, he led Spain to their first ever FIFA World Cup and won the Golden guante for the tournament's best goalkeeper. La Copa del Mundo no le ha quitado la ambición, y menos en un año en el que asume el papel de gran capitán con la marcha de Raúl. El brazalete es un reto más. Iker dio su primera rueda de pensa en Los Ángeles asumiendo galones. Sus reflexiones no tienen desperdicio, desde Mou, a Raúl pasando por Kaká, Benzema y, por supuesto, el Barcelona. "Es un reto personal ocupar la plaza de un emblema como Raúl"
Appearing at his third FIFA World Cup, Spain goalkeeper Iker Casillas has reached the pinnacle of his profession, enjoying one of the most impressive tournaments of his career and walking away with the adidas Golden guante as the tournament’s most impressive goalkeeper. 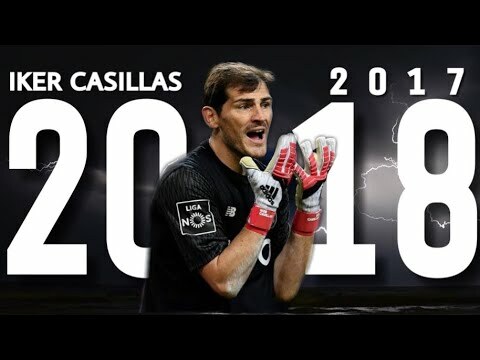 Here is an official FIFA video of all the amazing saves that Iker Casillas made in the World Cup Hey, Iker is the biggest reason they won! What is Iker's favorito! fruit? What do tu think about Iker and Sara? Are they the cutest couple ever o are they just together because they are both famous?